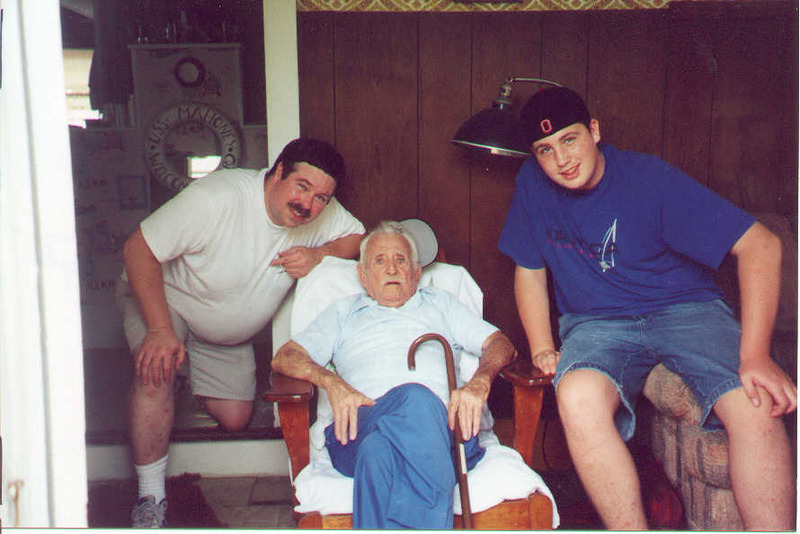 My Dad grew up, lived and worked in Philadelphia, but spent a lot of time as a young adult around Barnegat, New Jersey. 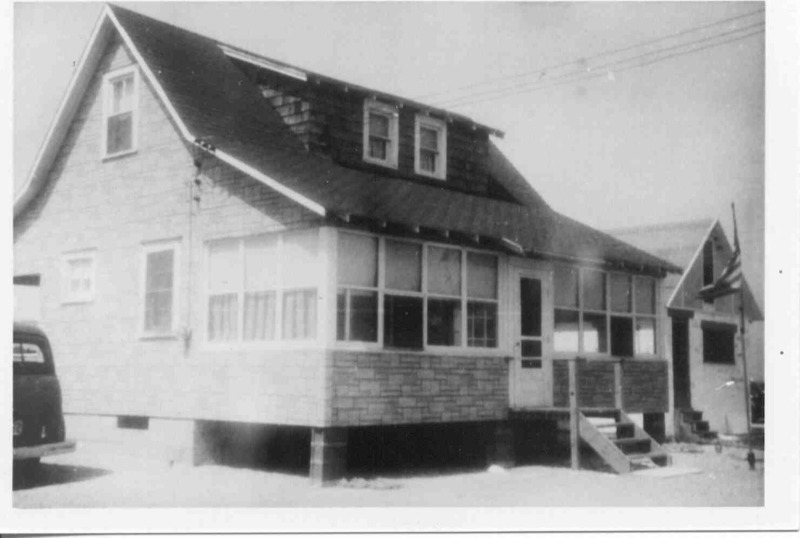 He eventually bought an old shore house on the south end of Long Beach Island in the late 1950's. 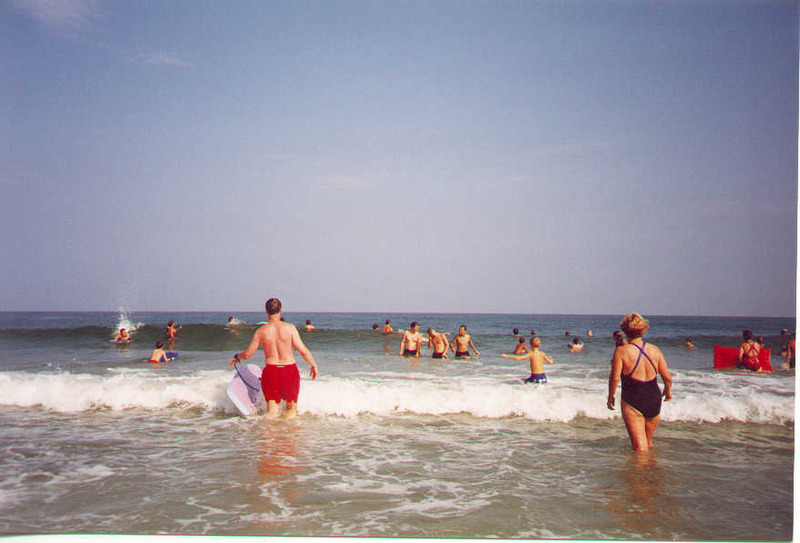 Growing up our family spent a lot of time 'down the shore' enjoying extended summertime stays and weekend trips. 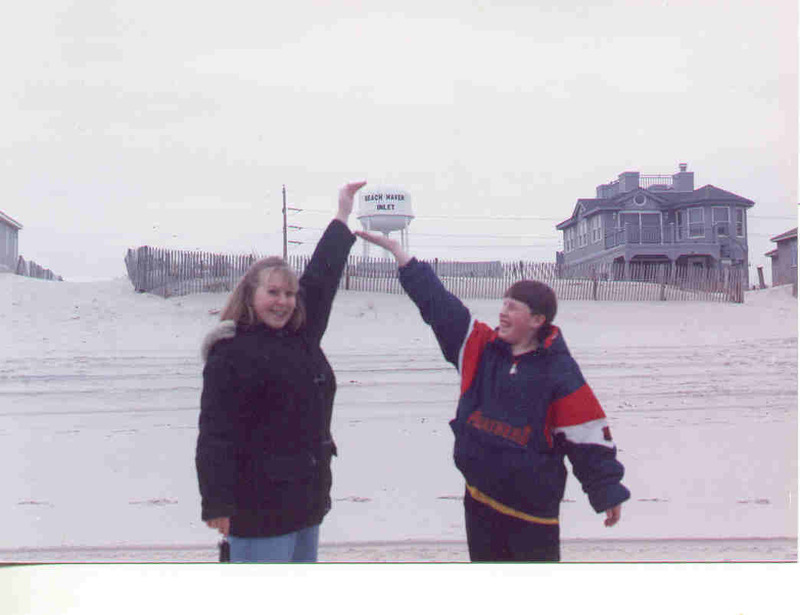 Since those younger days, family and friends have visited this place quite a bit, all have come to appreciate Long Beach Island! The annual treks to the beach from wherever we start out, are always eagerly anticipated. Eternal thanks and praise is due our parents for providing us the opportunity to savor this enchanting place by the sea. 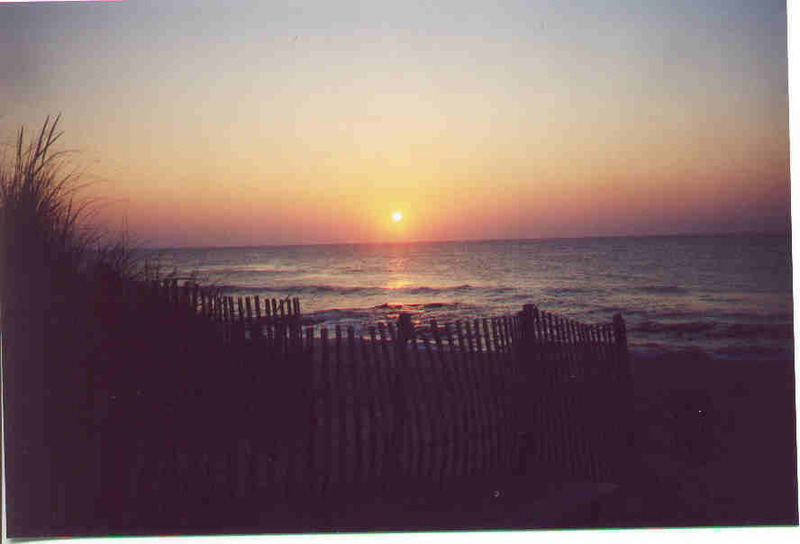 The stretch of shifting sand found at the southern end of this narrow eighteen mile long barrier island has been known by many names. 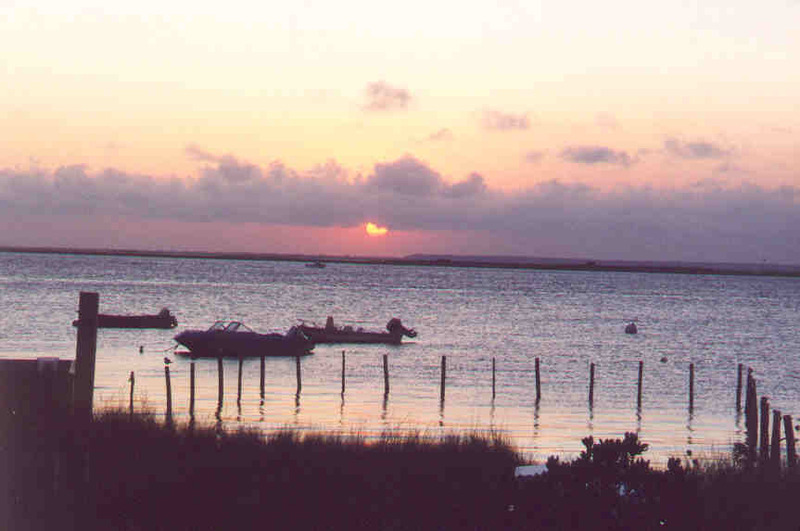 Holgate, Bond's, Beach Haven Inlet, Beach Haven Heights, or just Beach Haven are all commonly used. 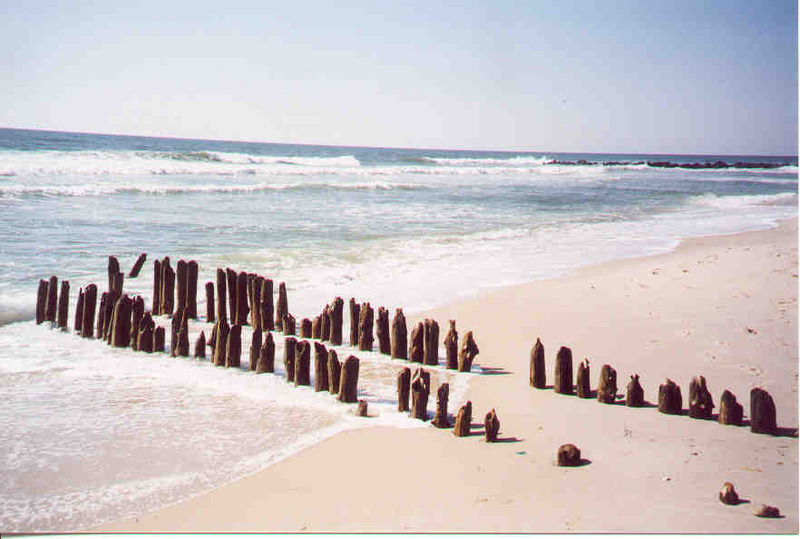 However the whole length of LBI is a great seashore place with plenty of interesting history. 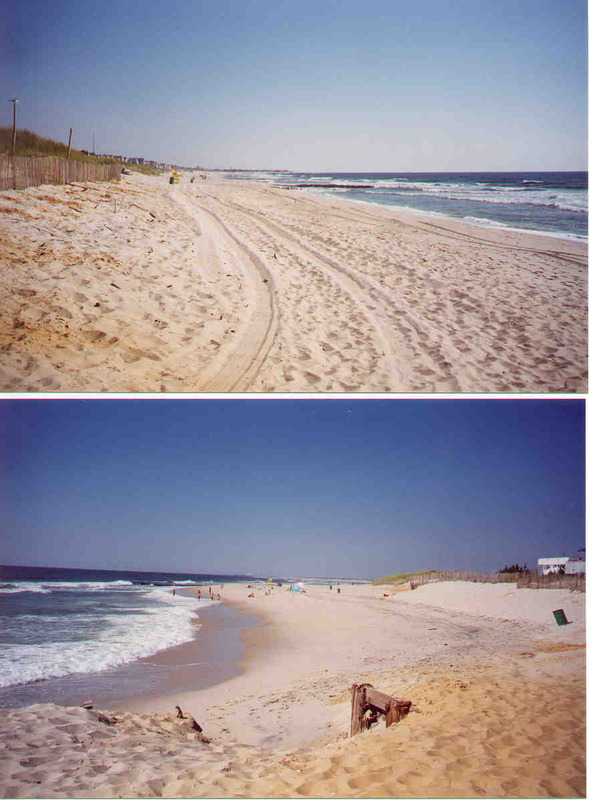 The pristine beaches, separated by rockpile jetties every couple hundred yards or so, are very popular in the summer months. I am most at home with the three or four beaches near our house at the end of the island, where I have left many a footprint in the sand. Most of us would readily agree to spend all our time there, but life's responsibilities and living at a distance just doesn't allow it. 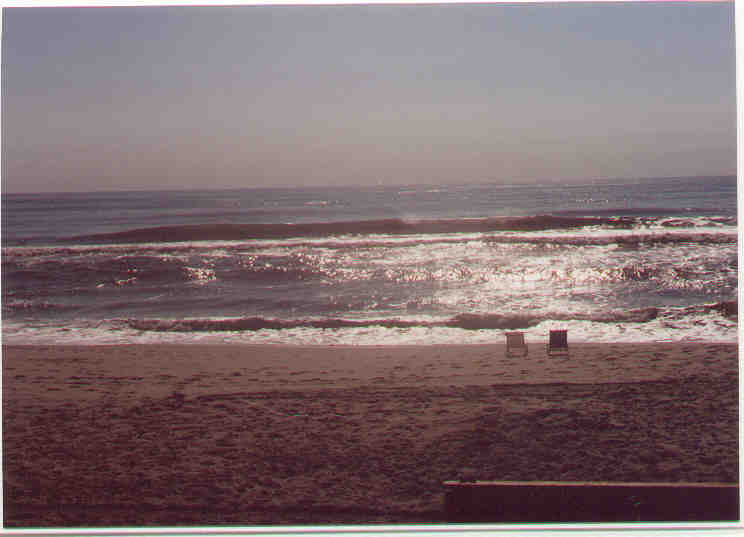 That desire aside, we usually make a trip to LBI each summer, and spend a week or two and some years more, enjoying the sun and surf. 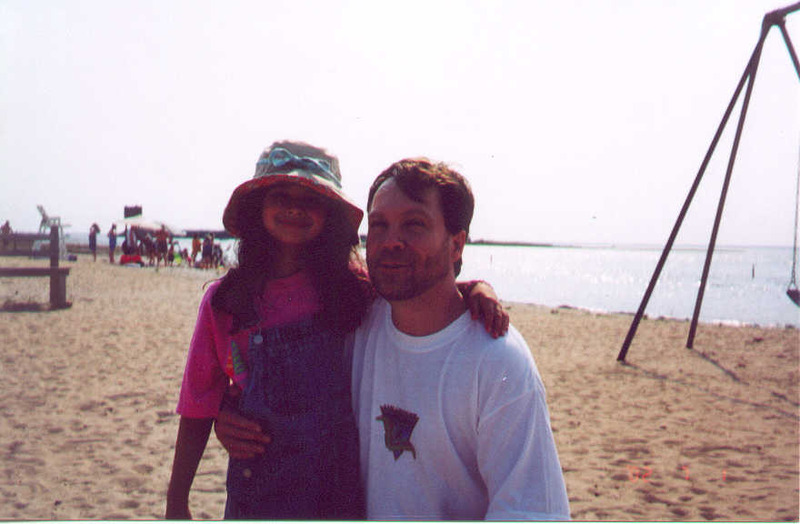 For all its beauty and fun times, we have also experienced some not-so-fun events at the shore over the years. Most involve Mother Nature rearing her head. 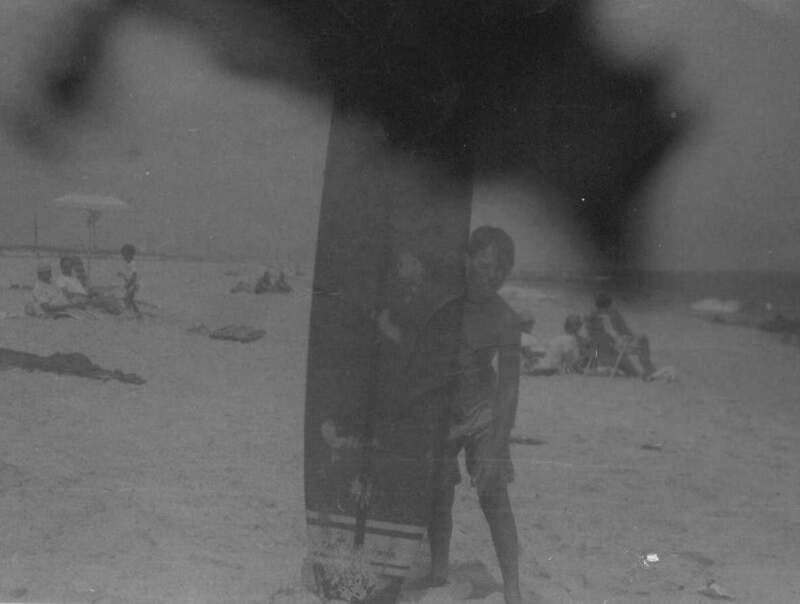 One vivid memory is from 1960 when my mother, siblings and I were rescued in the eye of Hurricane Donna as ocean waters swirled around our house. We were loaded into an amphibious vehicle then taken uptown by the Beach Haven First Aid Squad. 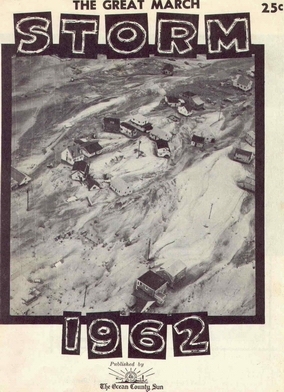 A couple years later, in 1962, a nor'easter nearly demolished the house. Ocean waves rolling across the island unmoored the two-story wooden structure from her cinder block foundation. But the house didn't go very far; it caught on to the house next door which kept it from floating away. 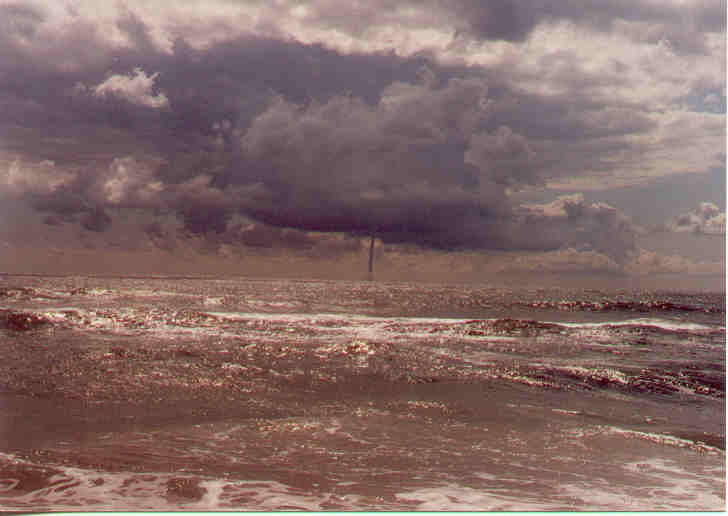 More recently, Labor Day weekend 1995, we were walking the beach near the end of the island when a water spout formed about 10 miles out to sea. It proceeded to give us quite a show (and quite a scare). Thankfully it dissipated in several minutes, for we knew not which way to run had it come ashore. 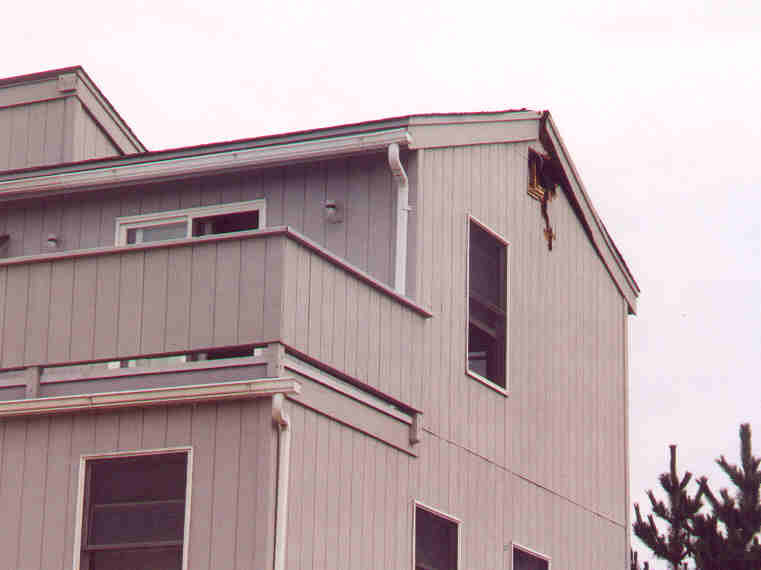 In August 1999 during a fierce early morning thunderstorm, a lightning bolt struck the peak of the house across the street. It was only about a hundred feet away from where we lay sleeping or were attempting to. The lightning did not set the house on fire, but did cause a brief yet incredible fireworks display and very loud boom when it hit. 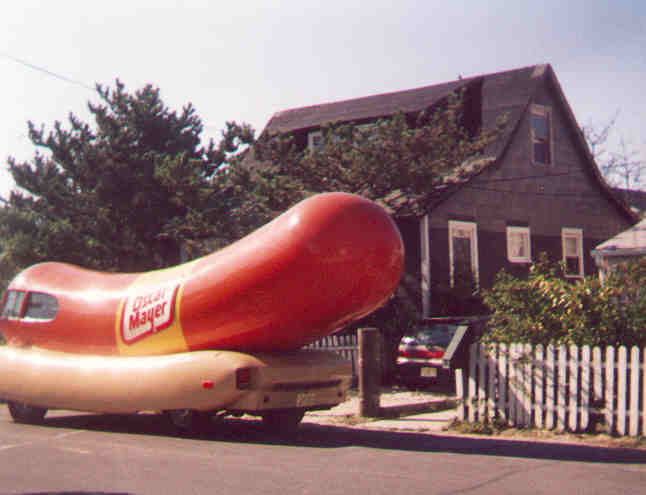 It damaged the house, gave the occupants quite a scare, and apparently woke most everyone on the street. Finally, each summer wouldn't be complete without the swarms of mosquitos at night and nasty green head flies during the day. But oh well, there has to be something to spoil paradise. Thankfully the bugs are only a bother when the wind direction is wrong. Better are the memories of the warm, long and lazy summer days spent swimming in the ocean and relaxing on the sand. and/or gather on the darkened beach to reflect and watch for shooting stars as the waves keep rolling in. 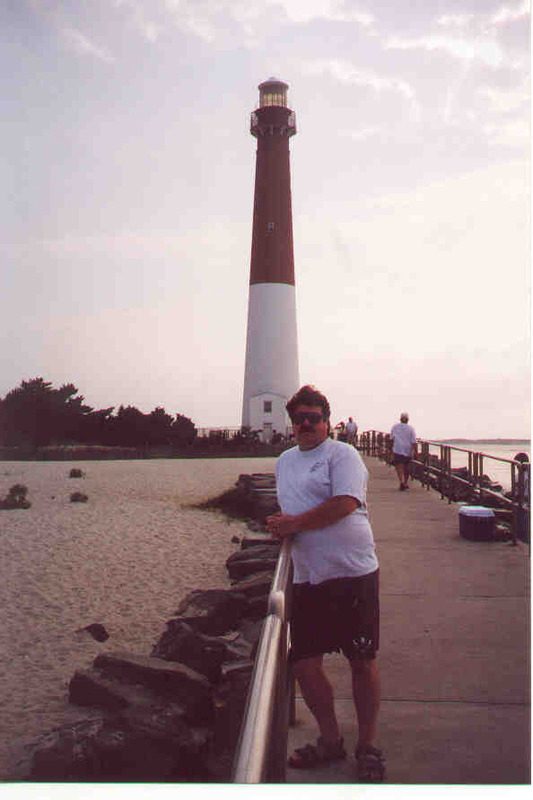 Located at the north end of Long Beach Island, on the Barnegat Bay Inlet, stands the majestic Barnegat Lighthouse. 'Ole Barney' flashed its' first beam in 1859. It replaced a lighthouse built in 1824 to warn mariners of the treacherous Barnegat shoals. A tourist attraction now, we have climbed to the top of the spiralling iron stairs more then a few times. Okay, now I've talked myself right into it, I'm ready to go again...come on, hurry up, let's get the van loaded......we're heading to the shore!! A few more from "down the shore"